I always wanted to bake a cake with figs. 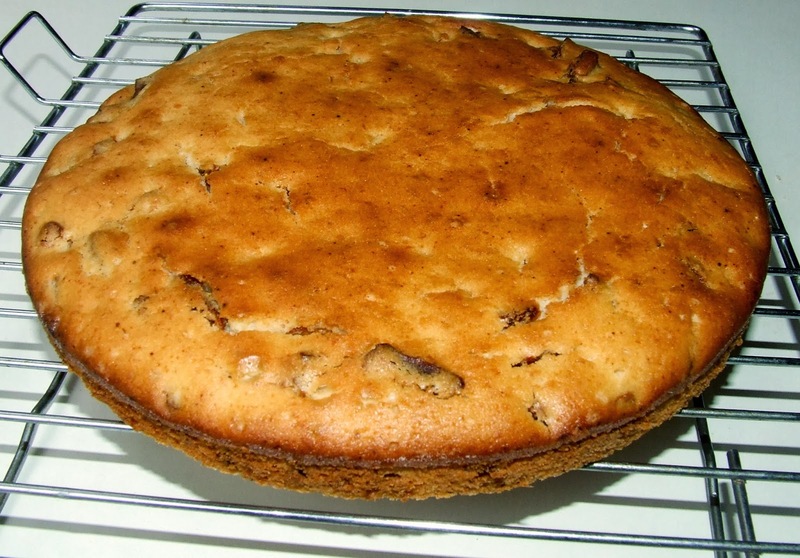 This time when we bought figs, I searched for the recipe of cake with figs. I came across this simple recipe. This recipe does not ask for butter. Lemon zest surely does the magic. 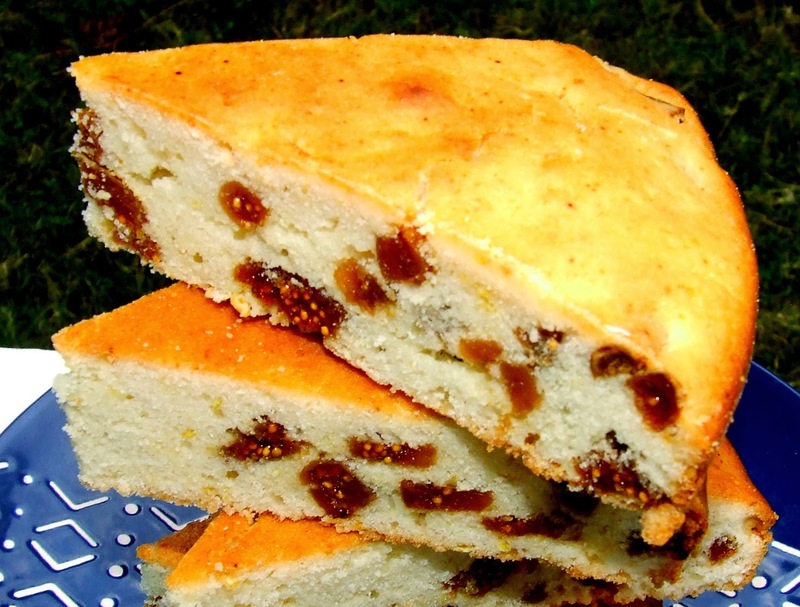 It is a delicious lemon scented cake that does not take much time to bake. Lovely to have with a hot cup of tea. I have made some changes in the recipe. I have reduced olive oil from ½ cup to 1/3 cup. I have also added 1 ½ teaspoon of lemon juice. I have taken 1 cup chopped dried figs. Preheat oven to 180 degrees C. Grease and dust one 8 inch cake pan. Line the bottom of the pan. In a large bowl whisk together oil, milk, beaten egg. Add lemon juice. Add dry ingredients to wet ingredients. Do not over mix. Gently fold in chopped figs and lemon zest. Pour the batter in the prepared cake pan. Bake for 35 to 40 minutes or till the top turns golden and a skewer inserted in the center comes out clean. Remove from the oven, cool in the pan for 15 minutes. Remove from the pan and cool in the wire rack. Such a pretty cake with an innovative mix of ingredients. 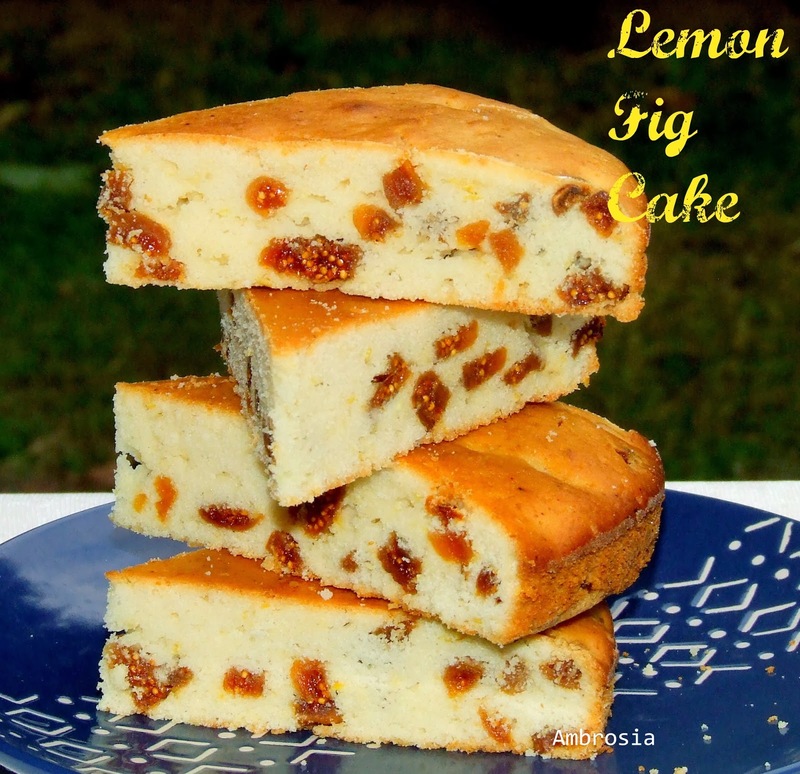 I love the flavour of figs and lemons... the combination sure must have been yum!